Here at Professional Document Systems, we believe our firm’s success can be directly attributed to the extraordinary people on our team. Everyone is an individual with particular talents and creativity, each contributing something different on a daily basis. While maintaining a professional working environment, the atmosphere and demeanor amongst PDS employees is very family oriented, personal and welcoming; everyone knows everyone. As a result of the ability to connect with not only our customers, but with fellow employees, our team can design a customized solution that is enhanced on all levels because of our network of communication. We invite you to meet some of the great people on our team. 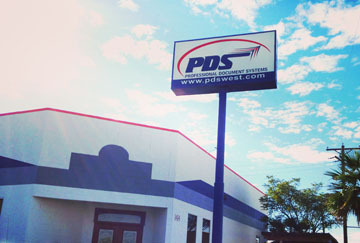 Since 1995, PDS has provided document and content management software, document scanners, scanning services, automated forms and custom software solutions to government, education, business, financial and healthcare organizations throughout the United States and Mexico. We have encountered and solved a wide variety of document management challenges. Our solutions are customer focused and specifically designed to meet the varying needs of a diverse client base. We believe this strategy will best serve our clients over the long term as we are positioned to recommend the most cost effective solution based on the customers document/record characteristics (i.e.. volume, retention, retrieval rates etc.). As members of the Association of Information and Image Management (AIIM) and the Association of Records managers and Administrators (ARMA) PDS actively participates in the organizations informational marketing program and is therefore abreast with changes, modifications and new technologies within this fast paced environment. In addition, PDS has two (2) CERTIFIED DOCUMENT IMAGING ARCHITECTS (CDIA) on staff that are responsible for industry standards and proper design and implementation of imaging systems. CDIA is an industry accreditation program designed and implemented by the Computing Technology Industry Association in conjunction with several large imaging software and hardware vendors. Let us help you solve your document challenges today!